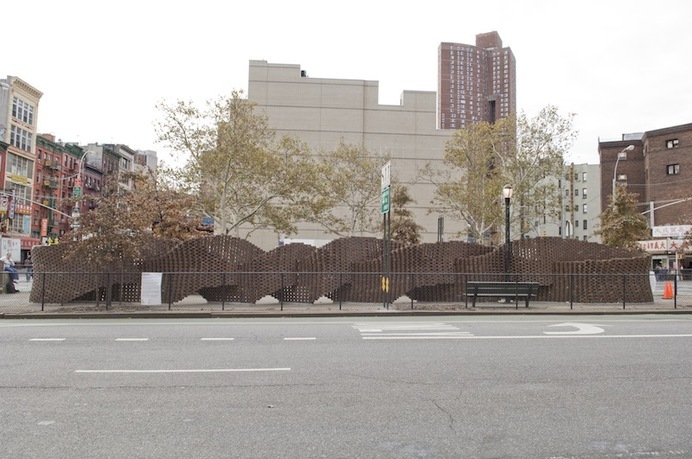 Image courtesy of Storefront for Art and Architecture. In the fall of 2009, Storefront presented an exhibition and an onsite installation of works by Zurich architecture practice Gramazio & Kohler, whose research focuses on the exploration of full-scale automated fabrication by the department's robotic construction facility. This exhibition featured a retrospective of their work with multiple videos. 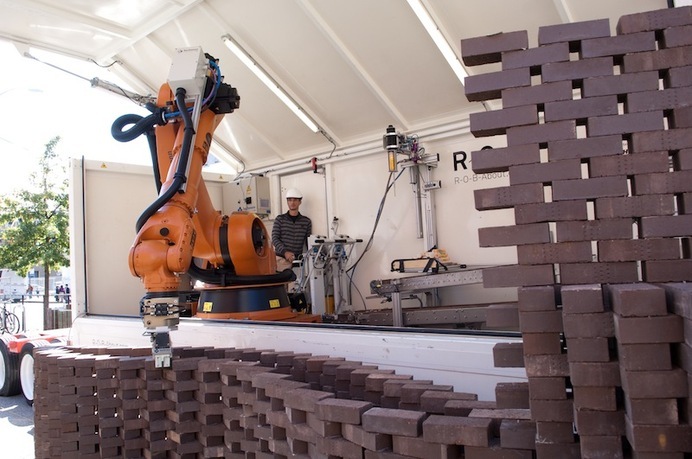 Additionally, the team installed onsite a brick wall fabricated by the mobile robotic unit R-O-B. 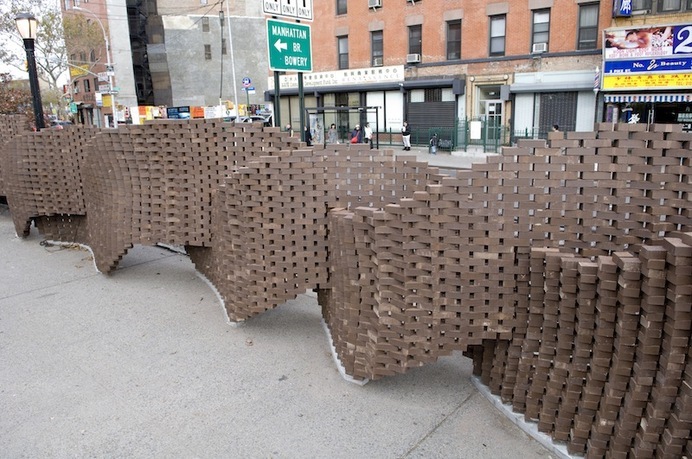 Positioned in the central mall on Pike Street in Lower Manhattan, the robot worked for four weeks—in full view of the public—to construct a brick wall, a highly sculptural response to the specific identity of the site. For the Pike Loop installation, more than seven thousand bricks aggregated to form an infinite loop that weaved along the pedestrian island. The finished work remained on site until September 2010. Gramazio & Kohler, Architecture and Digital Fabrication is a research section at the ETH Zurich led by professors Fabio Gramazio (1970) and Matthias Kohler (1968). The group's research focuses on the exploration of highly informed architectural elements and processes and produces design strategies for full-scale automated fabrication in their robotic construction facility. Fabio Gramazio and Matthias Kohler are partners in the award-winning Zurich architecture and urbanism practice Gramazio & Kohler. Their office projects include the Gantenbein vineyard facade, the Tanzhaus theatre for contemporary dance, the Christmas lights for the Bahnhofstrasse in Zurich, and the sWISH* Pavilion at the Swiss National Exposition Expo. 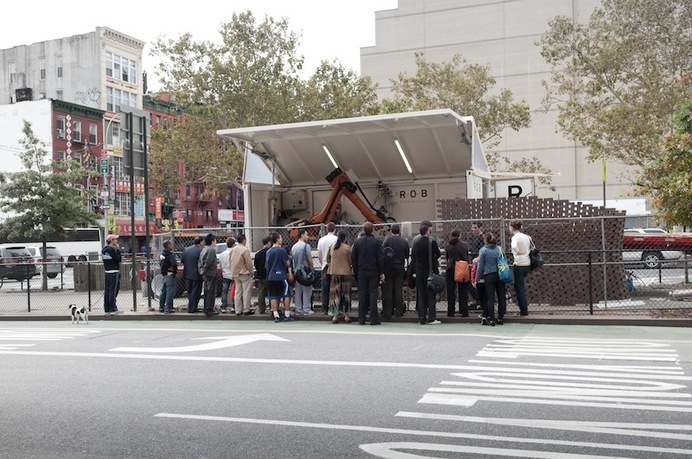 Gramazio & Kohler's contributions to exhibitions include Structural Oscillations, a structure built on-site by the transportable robotic unit, R-O-B, at the 2008 Architectural Biennial in Venice. Gramazio and Kohler are also coeditors of the book Digital Materiality in Architecture, which outlines the theoretical context for the full synthesis between data and material in architectural design and fabrication. Founded in 1982, Storefront for Art and Architecture is a nonprofit organization committed to the advancement of innovative positions in architecture, art, and design. Our program of exhibitions, artist's talks, film screenings, conferences, and publications is intended to generate dialogue and collaboration across geographic, ideological, and disciplinary boundaries. 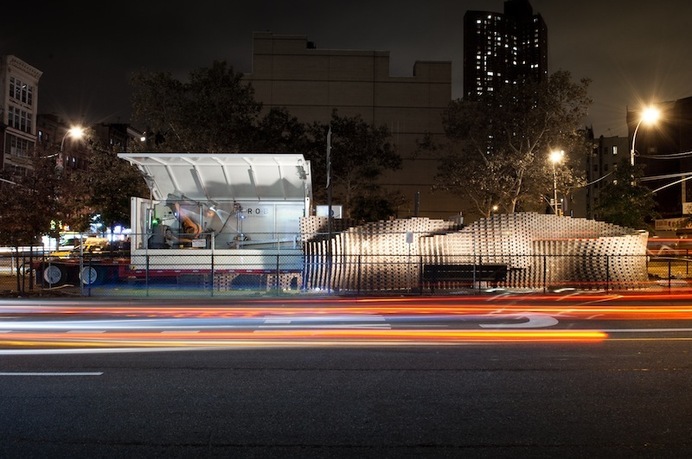 As a public forum for emerging voices, Storefront explores vital issues in art and architecture with the intent of increasing awareness of and interest in contemporary design.